Designation for the most famous Greek liquor, which was in high demand already abroad in the 19th century and was exported to France in a special form - flavored with anise. The export to Marseille took place in wooden boxes with the Italian inscription "Uso di Massillia" (Uso = for the use). That's how the famous brand name came into being. Previously, the production was done by double distillation the press residues, so it was one Tresterbrand such as grappa or Marc, This production method has been changed gradually. Today is used as a raw material fortified wine used. This is made out before distillation with aromatic oils anise or mastic resin as well cinnamon Ginger, fennel and other aromatic substances are mixed and distilled three times. Each of the numerous Greek producers has its own, strictly secret recipe. From the first distillation only the so-called "heart", that is the middle fraction for the second and third distillation is used. The result from the last distillation is then stored for maturing. After ripening, the high-percentage product is mixed with water before bottling to bring it to 46% vol. 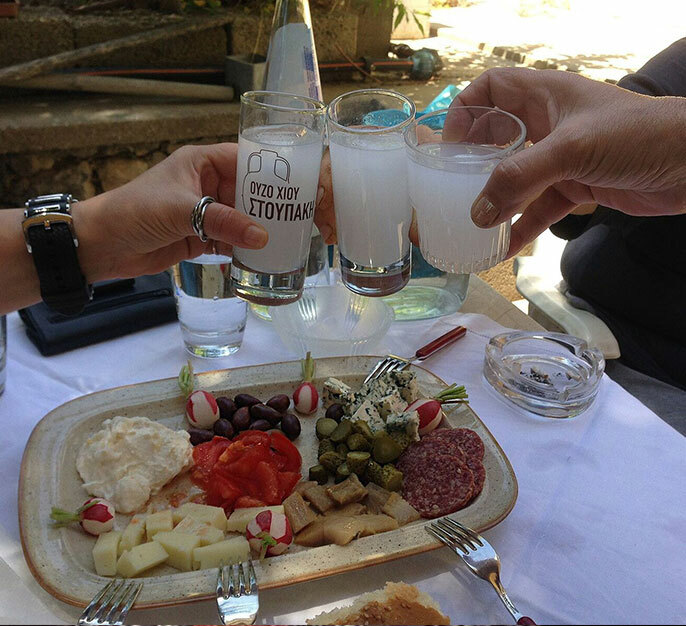 Traditionally, water is often added to the ouzo, creating a milky discoloration ( Ouzo effect or ouzo effect). Germany alone imports about 10 million bottles a year. One of the biggest producers is the company Tsantali, which became known as the "Olympic" brand. Similar to the Ouzo is the one produced in Macedonia Tsipouro (in Crete Tsikoudia), which is however produced from pomace. This page was last modified at 1 August 2017 at 19:00.